These days, Kyle Richards is the major reality TV star in her family, but long before her debut on Real Housewives of Beverly Hills, Kyle’s niece Paris Hilton was the queen of reality TV. Kyle used to name drop her famous nieces Paris and Nicky Hilton during her early seasons, but now she is a major name herself as one of the most likable Housewives. 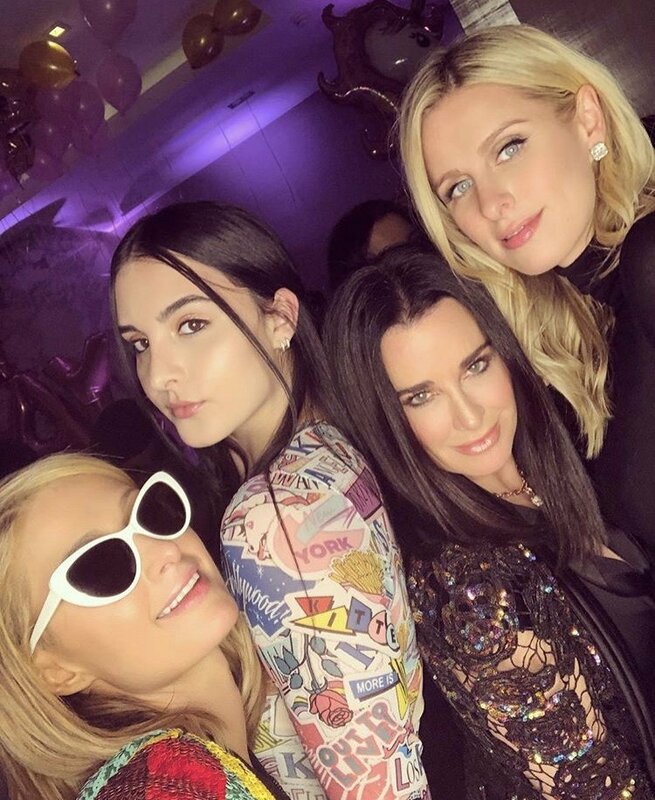 Kyle took her daughters Sophia and Alexia Umansky to New York City to celebrate Paris Hilton’s birthday and I wish the family bonding was filmed for Real Housewives of Beverly Hills, or better yet, a separate reality show that I’ve been dreaming with a focus on Kyle and her famous family. Yes, I know that Kyle already has a scripted show in the works that is “loosely based” on her childhood, but a reality show with her sisters Kathy Hilton, Kim Richards, and all their children is a show that I would love to watch. Unfortunately, no one is picking up what I’m laying down, but the famous family did document some fun times together this past week for Paris’ birthday. Kyle, Sophia, Alexia, and Paris all shared photos from the family time in New York City. Check out the photos from the reality show I desperately want to happen-I mean, the photos from Kyle, Alexia, and Sophia in New York City for Paris’ birthday- in the gallery below. Tonight is an all new episode of The Real Housewives of Beverly Hills. The ladies are still in New York for Fashion Week and all hell breaks loose after Lisa Vanderpump catches wind of what’s been said about her. Join us in the comments at 9/8 C to live-snark the show! RELATED: Realty Star Photo Roundup: Phaedra Parks, D’Andra Simmons, Kyle Richards, Yolanda Hadid And More! TELL US- DO YOU WANT TO SEE PARIS & NICKY HILTON HANGING WITH KYLE ON RHOBH? DO YOU WANT TO SEE MORE OF KYLE’S DAUGHTER’S ON THE SHOW?